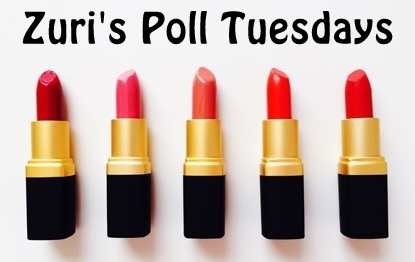 Zuri has compiled a set of 5 questions for all you bubbly teenage girls out there! Now, getting ready for a friend’s birthday party or school’s farewell party shouldn’t mean stressing about how to do your makeup that day. Take this simple quiz to find your perfect makeup look. If most of your answers are As: A simple one, you aren’t fussy about makeup at all. And, if you are not too fond of dramatic looks, then we recommend you have heaps of fun with the no-makeup/natural look. Play a lot with your hair though, go for a twisted braid, or leave them open on weekend movies. If you hair is short, try out pixie this summer. Don`t forget to slap on a bit of SPF when going out. Afterall, skin needs to be looked after as well! If most if your answers ar Bs: You are an easy-going teenager who knows a lot about herself and makeup, yet prefers to keep it simple and elegant. A lip-balm with a dab of peachy/pinky blush on your cheeks and a boho-chic hairstyle (with a headgear and silver accessories) is an ideal way of styling up during summer break! If most of your answers are Cs: You are a stylish young lady! You so want to grow up fast and be able to try out Hollywood inspired red lips, dark-mascara lashes and hot blush shades with smokey eyes. Isn’t it? All we would say for now is that you should keep it simple at times too. It would be so good to see you in a sleek ponytail and just a bit of a shiny gloss on your lips maybe. If you are stepping out for a formal event like a summer wedding that goes on for a longer duration, then do opt for a smudge-free mascara and water-proof eyeliner.